With fall inching closer and closer, it’s time we took a minute to conduct a summer real estate market recap. At first glance, the first half of the year was highlighted by some very encouraging news. At the very least, 2016 — or what we have experienced up to this point — is on a trajectory that could potentially result in the best year for real estate in more than a decade. Suggesting that the first half of the year was anything but great would be an understatement. 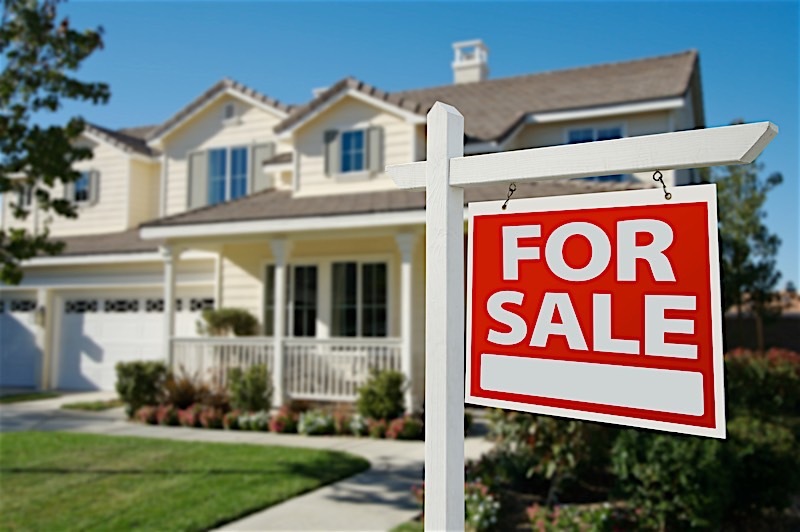 The amount of home sales increased five percent from the first half of the previous year, median existing home prices set a new record in June, and last spring is widely believed to have been the best spring in 10 years. The last time we checked in on the summer real estate market, spring had established some lofty expectations for it’s predecessor, which begs the question: Was summer able to meet or exceed expectations set for the hosing market? Earlier this year, I expected millennial homebuyers to represent a larger portion of the buyer pool. However, tighter inventory levels and today’s appreciation rates made it easier said than done. In fact, millennial homeownership rates actually declined 0.7 percent to 34.1 percent, according to Trulia. The decline in millennial homeownership shouldn’t surprise anyone now that summer has nearly run its course, as homeownership rates declined across the board. According to the U.S. Census Bureau, the “homeownership rate for the second quarter of 62.9% was 0.5 percentage points lower than the second quarter in 2015 and 0.6 percentage points lower than the first quarter in 2016.” The decline in homeownership rates may be attributed to a lack of available inventory, but is is just as likely due to new renter household formation as it is their ability to buy homes. “The U.S. homeownership rate dropped to its lowest level since 1965, but the drop isn’t statistically significant from a year ago,” Trulia Chief Economist Ralph McLaughlin said. “However if the decline is real, it is more likely due to a large increase in the number of renter households than any real decline in the number of homeowner households,” McLaughlin went on to say. It is important to note, however, that the recent drop in today’s homeownership rate is nothing to be concerned about, but rather more indicative of cyclical trends. It is by no means an indictment on the housing market, but instead an indicator that renting is no longer relegated to those moving out on their own for the first time. If for nothing else, renting is now more of a viable option than ever before. It is worth noting that homeownership was also limited by today’s housing inventory, or lack thereof. There hasn’t been enough of a housing supply to keep up with demand. So while there are plenty of willing buyers, they aren’t necessary able to get into a home. That said, the inventory burden looks as if it will alleviate itself sooner rather than later. Seller sentiment is as high as it has ever been, given today’s home prices. There is simply too much equity in the market for homeowners to ignore the prospect of selling. I expect seller sentiment to encourage homeowners to get off the fence and place more homes up for sale, further alleviating the inventory crunch and potentially allowing more millennials to participate. Interest rates have had a resounding impact on the pace of today’s real estate market. Not only did they contribute to one of the best spring real estate markets we have seen in nearly a decade, but they elevated the summer housing market to a whole new level as well. With summer coming to an end, however, it’s safe to say that interest rates promoted the healthy activity we have to thank for the state of today’s market. That said, interest rates did what we expected them to do over the course of summer. Despite an announcement issued by the Fed to incrementally increase interest rates throughout the year, it didn’t surprise anyone to learn that they wouldn’t increase interest rates until the economy could support such a move. As a result, we bore witness to one of the best summers for real estate in recent history. It is conceivable that today’s 30-year fixed-rate is directly correlated to the five percent increase we saw in home sales over the previous year. There is no reason to believe interest rates won’t continue to boost home sales, provided that they remain as low as they are. For what it’s worth, today’s interest rates should also make for some very encouraging fall real estate market predictions. It wasn’t hard to forecast the direction of the summer real estate market, given that both spring and summer shared so many similarities. However, few could have forecasted that we would be on the verge of one of the best years for the hosing in more than a decade. As I already eluded to before, home sales increased in the second half of the year and home prices did the same. What’s more, appreciation was able to return equity to many markets that hadn’t seen it in quite some time. Progress made over summer has simultaneously encouraged owners to invest in their own properties, and perhaps even more importantly, to reenter the market as sellers and buyers. The impact summer’s housing activity had on the market can’t be underestimated. There is still time for this summer real estate market recap to change a little, but the narrative for the past few months is unlikely to change. Take solace in the fact that summer went very well for the real estate market, and look forward to what is shaping up to be a great fall real estate market. That said, seasonal real estate marketing will undoubtedly play an important role in how investors sustain their business during peak and non-peak times.